— Bruno Matarazzo, Connecticut Society of Professional Journalist president. 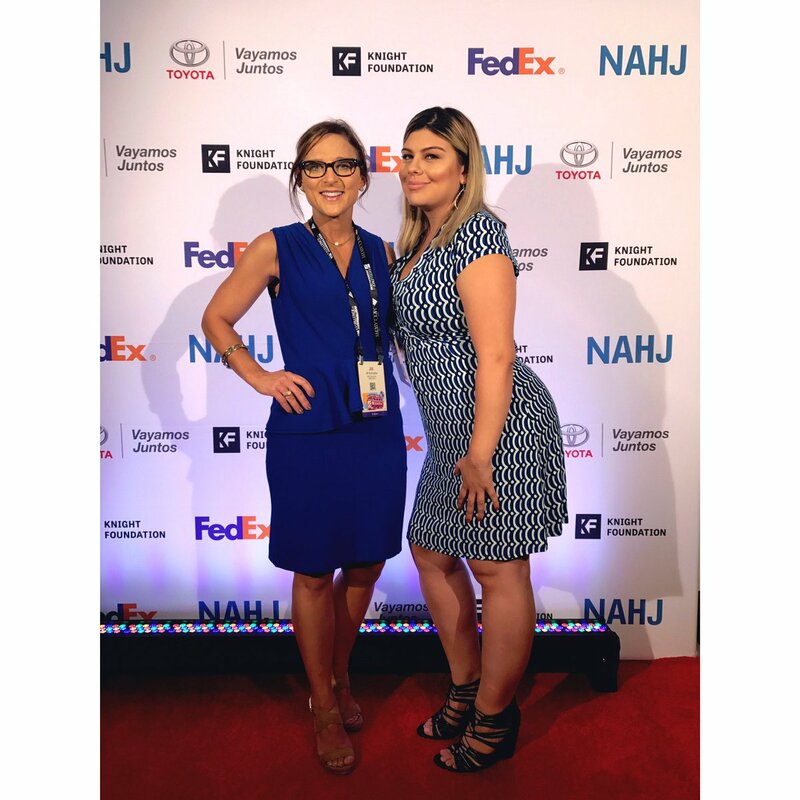 The Connecticut SPJ awarded a professional and a student travel grant for a working journalist and a student journalist to attend the national convention in Baltimore at the end of September. This year’s grant winners were journalist Jordan Fenster and student Sarah Willson, CCSU’s student chapter president of the SPJ. 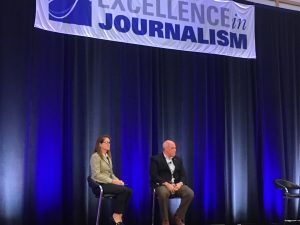 The Excellence in Journalism Convention is something the Central Connecticut State University SPJ looks forward to every year. Not only is it a way to broaden everyone’s knowledge on some of the most important issues facing journalists, it’s also a way to make real-world connections. I knew that, after attending last year’s convention in Anaheim as a member of the CCSU chapter, I needed to find a way to go back. Having been more outgoing and emerged in this year’s activities than compared to 2017, I know that what I have learned from this year’s convention is something I will carry with me throughout my career as both a student and professional journalist. As someone who aims to cover politics after graduation, by far one the most interesting and beneficial lectures was regarding “Midterm Elections in the Era of Trump” and the multiple Freedom of Information sessions held by some of the industry’s best. Despite the range of lectures and workshops, I myself and others from the CCSU Chapter had the ability to meet and converse with possible future employers from different news outlets. By far, that has been the aspect that always seems to draw us back for more. I can also confidently say that, had it not been for the generous scholarship the Connecticut SPJ allowed for the CCSU SPJ to take part in, we may have never made it. You have allowed for our chapter to attend one of journalism’s most important events and for that, we cannot thank you enough. Though still a while away, the CCSU chapter looks forward to attending such a rewarding conference again next year. I sat in a chair in the hotel lobby on the way to the Excellence in Journalism conference opening night reception. One by one, journalists joined me. A contingent of students from Connecticut. A radio journalist from Africa. A Pakistani master’s degree candidate studying in Maine. A transgender journalist working for a liberal digital-only publication. We talked, chatting about the differences and similarities in our jobs and finding, I think, more commonality than disparity. That was in the lobby. On the way to the reception. 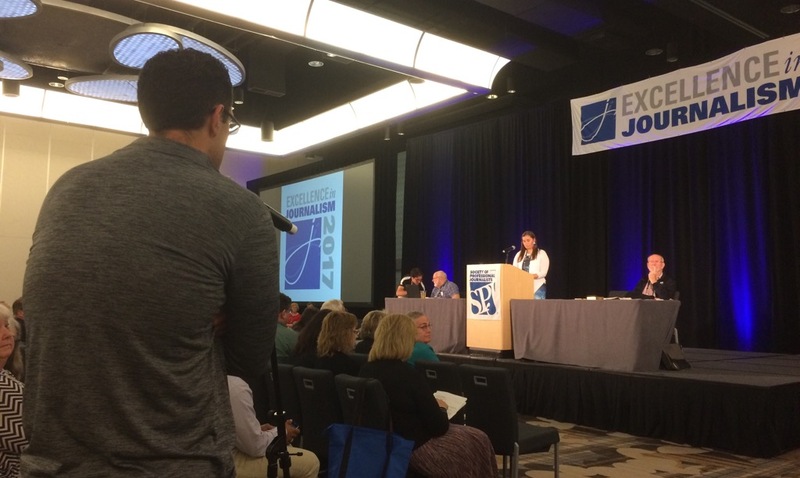 EIJ, more than most journalism conferences, is focused on sharing knowledge. I could write pages about the value of the sessions themselves. It’s good to hone hard skills — podcasting, politics coverage — and great to smooth out the edges with sessions on diversity and effective communication within newsrooms. But journalists and journalism are threatened these days, the accuracy and impartiality we hold so dear questioned and weaponized. 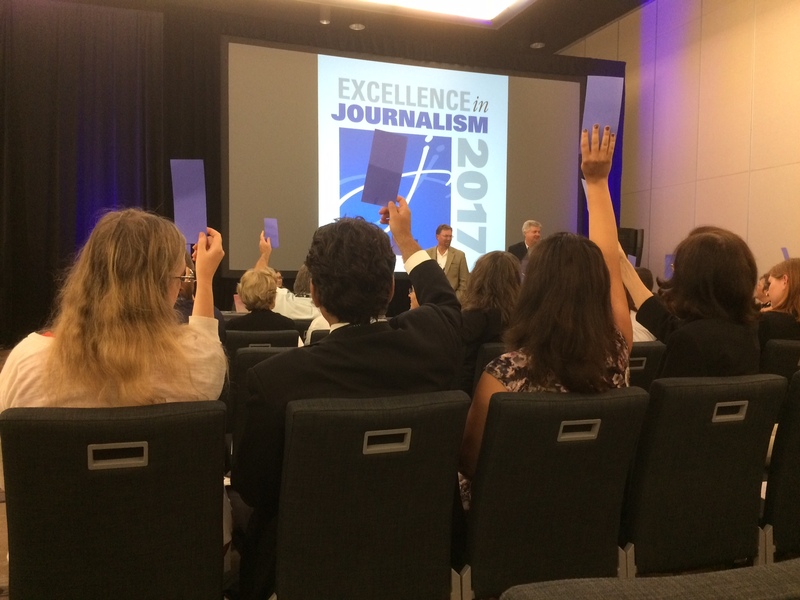 With that in mind, the great benefit of EIJ for me was meeting journalists from across oceans, not to mention across the United States, and finding that they face the same questions I try so hard to answer. Clockwise from top left, Hearst Connecticut reporter Kaitlyn Krasselt, WVIT-30 NBC reporter Max Reiss, University of Connecticut journalism professor Marie Shanahan, and University of Hartford political science professor Bilal Sekou. Claims of fake news. A never ending stream of polls. Candidates able to talk directly to an audience that doesn’t trust reporters. How have elections changed since 2016, and how do journalists effectively cover campaigns and reach their audience? “Decisions in 2018: How to cover elections in the Trump Era” looks at how reporters can overcome all these additional obstacles and do what we’re trained to do — inform the public on who’s running for office. 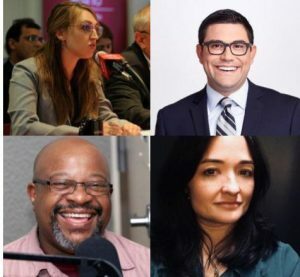 The panel, sponsored by Connecticut SPJ, will include University of Connecticut journalism professor Marie Shanahan, University of Hartford political science professor Bilal Sekou, State Elections Enforcement Commission Executive Director Michael Brandi, WVIT-30 NBC reporter Max Reiss, and Hearst Connecticut reporter Kaitlyn Krasselt. The event will be on Sept. 13 beginning at 7 p.m., and will be hosted by our friends at the Central Connecticut State University SPJ chapter at CCSU’s Student Center in New Britain. The Connecticut Pro Chapter of the Society of Professional Journalists today voted to make a $500 donation to the The Capital Gazette Families Fund to help support fellow journalists in Maryland after a targeted attack on their newsroom. The fund, which is managed by through the Community Foundation of Anne Arundel County, was set up by tronc, parent company of the Capital Gazette in Annapolis. The funds will go to the families, victims and survivors of last week’s shooting, which killed 5 staff members at the newspaper and injured two others. A scholarship memorial fund has also been set up to honor the victims. The Michael and Jacky Ferro Family Foundation will match up to $1 million in donations made to the fund, according to the Baltimore Sun, also owned by tronc. The same company, tronc, also owns the Hartford Courant in Connecticut. A GoFundMe fundraiser to help the victims and survivors set up by another journalist last week had raised $185,000 as of Sunday and the organizer said all the money raised will be given directly to the The Capital Gazette Families Fund. 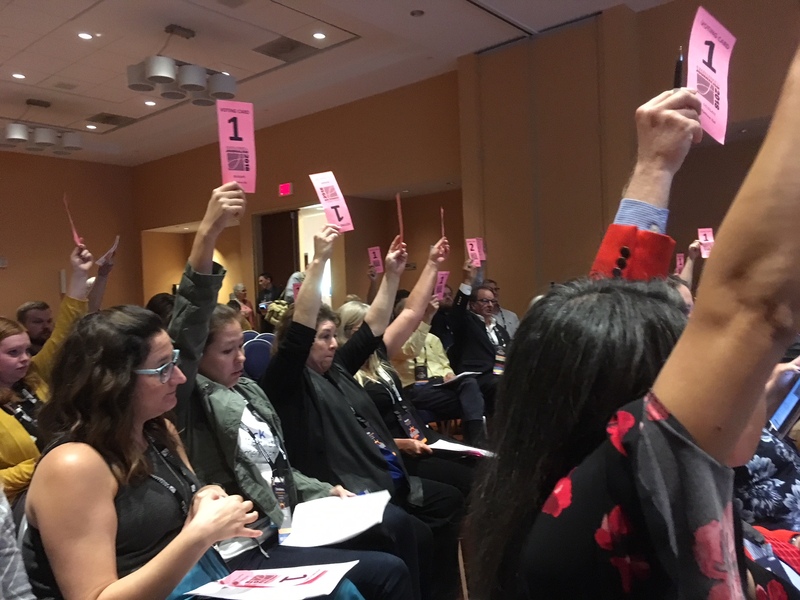 One of the big discussions at the national SPJ conference in Anaheim last week was whether to approve propose d bylaw changes to the national board. The changes, which eventually passed 86-14 among the delegates, will bring the size of the governing body down to nine members from the current 23. It also removes regional directors from the national board. 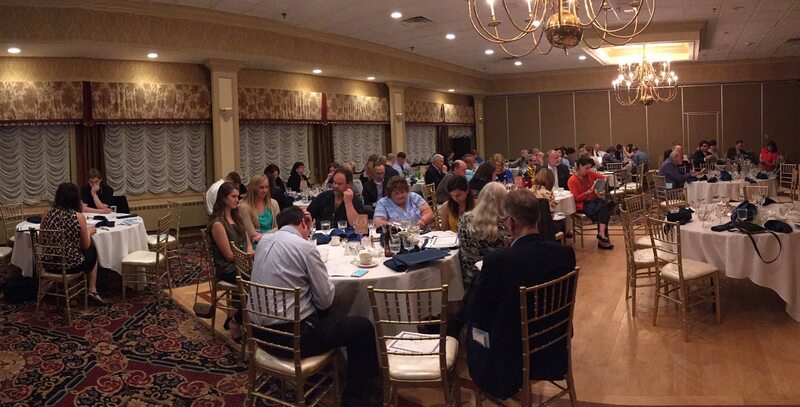 Mike Savino, president of the Connecticut Pro Chapter of the SPJ, proposed an amendment bringing the board down to 11 members instead of 9, but the amendment failed. 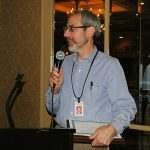 The Press Club of Long Island proposed an amendment requiring the board to fill one of the available appointed positions with a sitting regional coordinator (the new name for regional directors). That amendment also failed. The two delegates from the Connecticut Pro Chapter voted against the bylaw change due to concerns it would limit the amount of local voices that will be heard on the national level and potentially limit diversity on the board. The transition to the new board structure will take place over two years. You can read more about the bylaw changes here. MANDATED CLEARANCE: The Society of Professional Journalists calls on journalists to put the public’s need to know above the professional desire not to anger official sources and resist official efforts to make reporters nothing more than stenographers and openly oppose restrictions on access to information; calls on all journalists, journalism groups, publishers, editors, journalism schools and freedom of information groups to start and continue discussions on eliminating these restrictions and to explain to the public the hazards to society posed by these restrictions. THANK YOUS: The delegates thank Associate Executive Director Chris Vachon for her 14 years of dedicated service to the SPJ; thank Executive Director Joe Skeel for his 8 years of dedicated service to the SPJ; thank the SPJ staff for all its work to put together the convention; thank outgoing President Lynn Walsh for her service. I feel very fortunate having been chosen as a recipient of the CTSPJ Professional Travel Grant in September of 2017. I return to Connecticut exhausted, but in a good way! With a bucket full of potential story ideas to do back here in the Nutmeg state. It was an honor to learn from some of the best and brightest journalists from across Connecticut and the country. Having 72-hours of intense informational packed sessions that helped reignite the fire in my belly and remind me why I love being a reporter, take the job seriously and know how important our industry is now more than ever. Whether it was a three-hour intensive Google News Lab workshop to the “Art of Access” with Dr. Dave Cuillier from the University of Arizona, offering tips and tricks on how to better wrangle records from government agencies, I learned a whole new set of skills to add to my reporter tool box and share with my colleagues. “EIJ 17 was everything I could have hoped for and more. I highly recommend attending this convention, especially for student members of SPJ. You are surrounded with the best of the best from all around the country. The seminars bring so much diversity in reporting styles and experiences, you find yourself hanging onto every word, trying to soak in as much knowledge as you possibly can. You also get to bond with other journalist in a more relaxed environment outside of the newsroom. 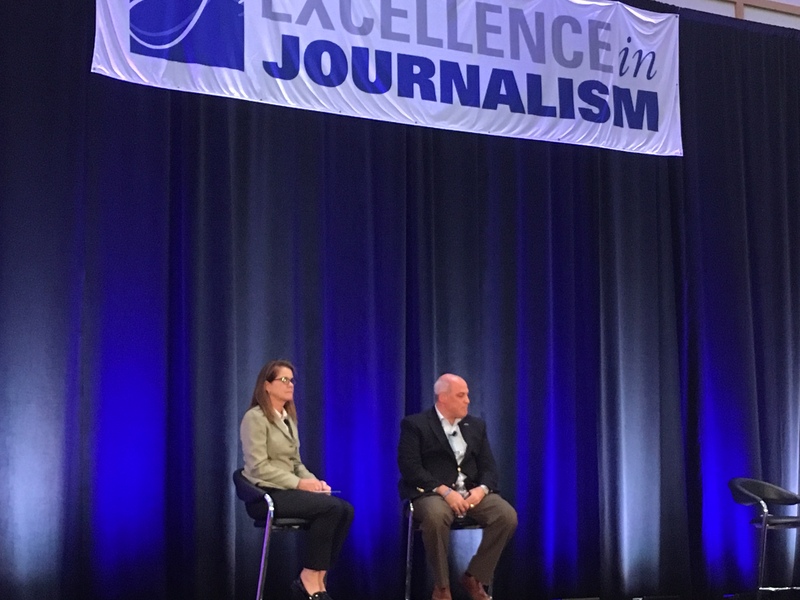 Rebecca Baker, who got her journalism start in Connecticut and is a former board member of the SPJ Connecticut Pro Chapter, became the 101st president of the national Society of Professional Journalists during the President’s Installation Banquet at the 2017 Excellence in Journalism conference in Anaheim, California, this week. A former New Haven Register reporter, Baker now works as deputy head of news at the New York Daily News. Before that, she worked as editor-in-chief of the New York Law Journal. 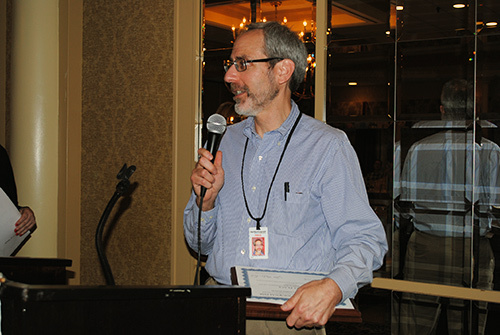 Baker is the first SPJ national president from New York City in 35 years, according to the SPJ. 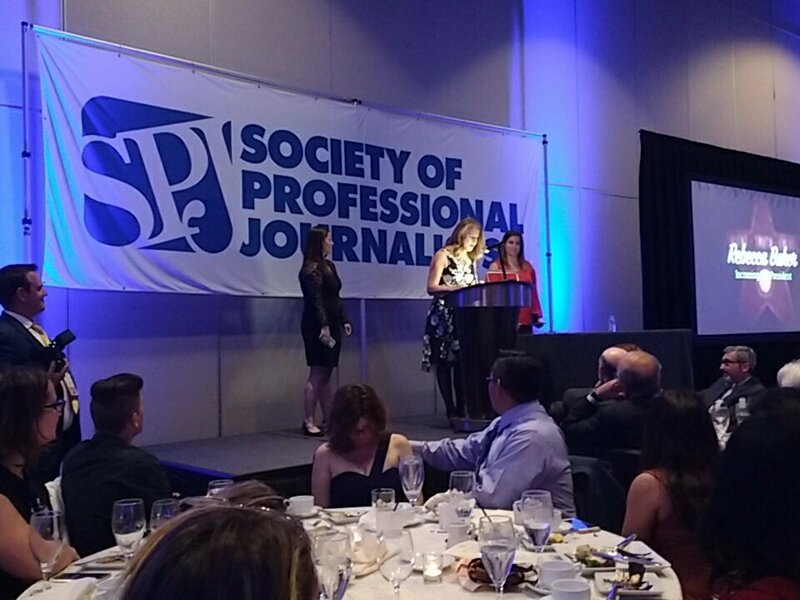 At the installation banquet, she spoke about the many ways the SPJ has helped her in advancing her career and how the organization helps members and non-members alike in furthering the mission of good journalism. One of Baker’s goals is to get SPJ members into classrooms over the next year to speak to students about the importance of journalism. “If we can reach kids, we can reach the future consumers of our news,” said Baker, speaking of the program dubbed Press for Education.